This is very interesting because it’s the first time I’ve seen video of a (claimed) first-hand account of the building of these “secret underground tunnels”— rather than the typical speculations of people who built their theories solely off of stuff they read on the internet. Unclear when the video was shot or who the speaker was. I’m going to take more time to watch these and post more thoughts later. One immediate thought: The diagram he is using to describe these tunnels is very similar to this one drawn by Stew Webb many years ago, but not the same. UPDATE: It was Stew Webb who took the video. He must’ve just gotten around to YouTube them recently. His site. See video part 2 below. 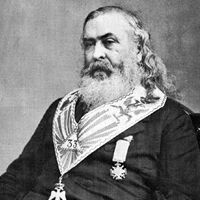 Albert Pike and DIA underground? 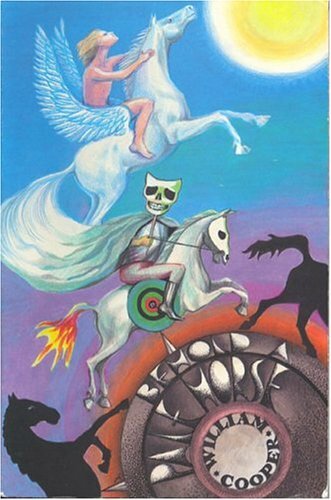 I was at the bookstore the other day and came across “Behold a Pale Horse,” published in the late 80’s by William Cooper. Cooper , who was shot to death by Arizona law enforcement in 2001, was well known for a radio show and as a speaker on the UFO circuit. Though he didn’t mention DIA specifically in Behold a Pale Horse — which, it must be noted, bares a connection to Luis Jiminez’s Mustang controversial sculpture — he does write about many of the same conspiracy themes and topics that now swirl around Denver International Airport, namely the NWO, secret underground military bases, and aliens. Consider this …. the Denver airport is for the most part completed. Finish construction etc …. is for the most part done. The need for container shipments is for all practical purposes no longer needed yet, at the pyramid site, cargo containers to this day are still being delivered to the site. In a recent episode of his new cable show, Conspiracy Theory, former pro-wrestler-turned-Hollywood-turned-governor-turned-whatever Jesse Ventura gave significant airtime to the “mother of all underground bases,” Denver International Airport. Ventura hits on nearly all the popular themes of the DIA Conspiracy, including the Tanguma murals, the New World Airport Commission and apparent tunnels to NORAD. The DIA Conspiracy has officially hit the big time. After the jump, watch another clip of the episode, “Apocalypse 2012,” of Ventura being “confronted” by DIA airport security, the gargoyles and more great stuff about underground tunnels! Was DIA the target of mysterious nuclear missle attack? 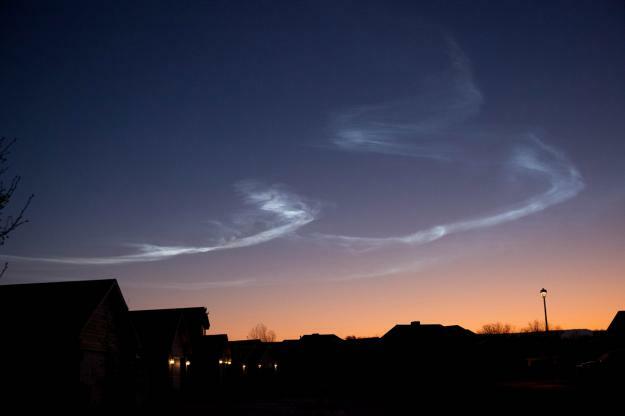 Noctilucent cloud, meteor vapor trail or nuclear explosion aftermath? Sorcha Faal over at WhatDoesItMean.com says so. According to an article she posted in November, “yet unidentified aircraft” fired a “1 Kiloton nuclear armed cruise missile” at Denver International Airport was subsequently shot down by the U.S. Airforce. The airborne explosion was apparently reported by witnesses in Colorado, Utah, Nevada and California, an event that “Western propaganda” claimed was actually caused by meteorites. Reports by Russian Space Forces give the true story, Faal says, and links to a photograph taken by a skywatcher in Grand Junction, CO, as further proof. Click below to read what they said about DIA. 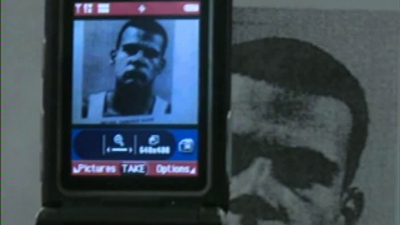 A 19-year-old AWOL soldier escaped from federal custody while being transported through DIA in October. Somehow Private Terrance Hilton, part of the 1st Special Troops Battalion, 1st Brigade Combat Team, 4th Infantry Division based at Fort Carson, broke free from his handcuffs on Concourse B and managed to elude military captors and security, essentially disappearing from the airport. According to FOX31, an active search for Hilton was called off after about an hour. Here a guy talks about the Mustang, murals, the underground base, dead children, Nazis. Thank you, Youtube. Thank. You. So…much. zzzzz.